Belikin has a cool animated video out that shows the stages of beer making. They really did a great job explaining the process, and the shape of it all really fits. Well done, Belikin, well done. 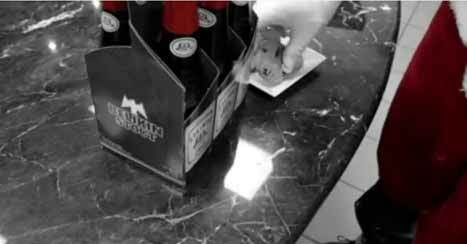 "Take an animated trip on how the beer of Belize, Belikin, is made. Belikin is the only beer sold in Belize that uses 100% Barley Malt and no fillers thereby producing a higher quality of beer. Belikin, the beer of Belize." Belikin beer is the national beer of Belize and the ”only beer worth drinking” says the Belize Brewing Company which produces the beer. The company has been brewing Belikin Beer and Belikin Stout since 1971 and its tagline is ”the beer of Belize”. The name “Belikin” comes from the Maya language and means “Road to the East” and is a term which some people have suggested is the origin of the name of Belize even though the most accepted derivation says the name comes from the Belize River. The label of the beer features the Maya site of Altun Ha which is located 31 miles north of Belize City on the Old Northern Highway. Do we have a beer emergency in Belize? Belikin has released a new video entitled 'Livin It Up.' Once again, it has a little bit of most districts in it. 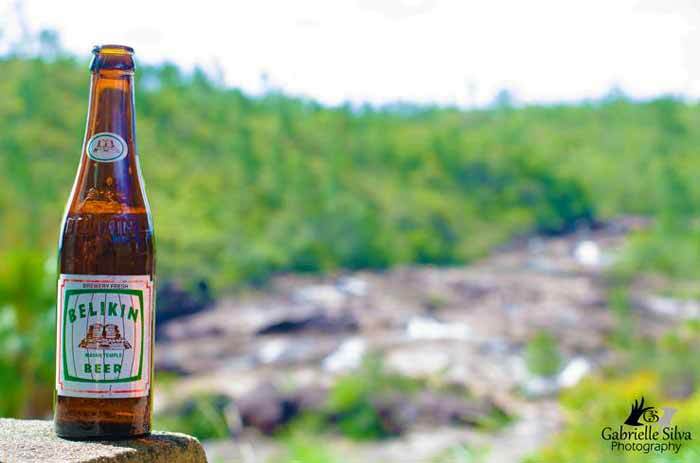 "Whether a game of pool, a rice and beans stand, with friends at the sandbar hanging out, a domino game or cooking up some barbecue, it is always a great time with Belikin, the beer of Belize." We present to you Belikin Chocolate Stout, made with organic cacao from the farms of Toledo, Belize. We don't use fillers or shortcuts and we don't compromise our brewing. We only produce the best for The Beer of Belize. Aside from the popular Belikin Beer, Belize also offers a good rum. The nation is part of Central America but its coast is on the Caribbean Sea, so rum is entrenched in its alcohol habits ever since. It is not that it just your eyes everywhere like the Jamaica, but you will easily find and buy it, and at very economical prices. The Belize rum market today is controlled by Travellers, a company that Mr. Omario Perdomo started midcentury with a bar of imported beverages for travelers in the center of the former capital, Belize City. Those times were also when the sugar cane industry sky ascended, so a lot of Belizeans decided to begin doing their own distillates. Mr. Omario Perdomo of Travellers Bar was no different, deciding to homemake his own rums. Travelers Rum was born and they now have over 20 products in their line, including vodka and bitters, that are massively distribute around the country. Surprisingly, the best rum seller in Belize does not belong Travellers, but the next family that holds the spirits industry in Belize: the Cuello Liquors. It is called Caribbean Gold. They possess a success formula of creating very mellow gold rum than anyone can drink neat or mixed, as it is much smoother than any white rum correlative. Likewise, it is almost as cheap as water. This group owns the other two major distilleries if the country, Cuello and L&R, and are both located close to Orange Walk Town. They are two separate companies as the brothers split their affairs in the past. Because they do not produce for most of the year, tours are not readily possible. On the other hand, Travellers is more established and even ready for tourism as they organize tours for the cruise ships. They do not do official visits to the distillery unless you are a professional on the subject. However, they do possess a small Rum Museum close to the warehouse where they do the aging and bottling system. The tour is interesting in terms of history of the company and rum in general in Belize, and you can easily taste the company's line of products, which is something in which you should do on a full stomach. But then, again, you will not have much accessibility to the distillation process itself. Throughout the visit, one thing that you might notice in Travellers that you might not have heard about it being done is manually reprocessing used bottles. It is an admirable action and might not be profitable the way it is done, but this is the company's way of giving back to the community and the environment. In other place, it will sound like green marketing rubbish, but being done so manually and effectively like it is done now; it will feel like it is for the perfect cause. On your next tour to Belize, do not just settle with the Belikin Beer as your end-of-the-day refreshment; you might also intend to consider enjoying a swig of Belize's rum, whether it is from Travellers, Cuello Liquors, or any other distillates. Sorrel Stout is back out, and Belikin has released a humorous video for the occasion. The only sorrel stout in the world, and it's in the coolers now. In related news, the 2016 Calendar Launch Party is Saturday in Belize. In this episode, we travel with host Mike Mann and his team back to the mainland, exploring the reputation of Belikin Beer and its iron-fisted business tactics that pushed Charger Beer, a Matus Brothers Brewery, out of the Belize beer market. In addition, Mike speaks with Shelly Bowen-Stonesifer, Head of Marketing for Bowen and Bowen/Belikin, about renewing a relationship with the people of Belize, in search of their continued loyalty to the brand. Ultimately, Mike chats with the first Belizean Brewmaster, Nolan Michael, about enhancing the brand and job force in the country of Belize.